» Miss. Sarina Zehra, a MBBS graduate got ICMR STS'2017 fellowship to pursue her short term training at Dr. Shadab's Lab. » MoU signed with Institute of NanoScience & Technology for Nanoparticles mediated Regenerative Therapy, India. 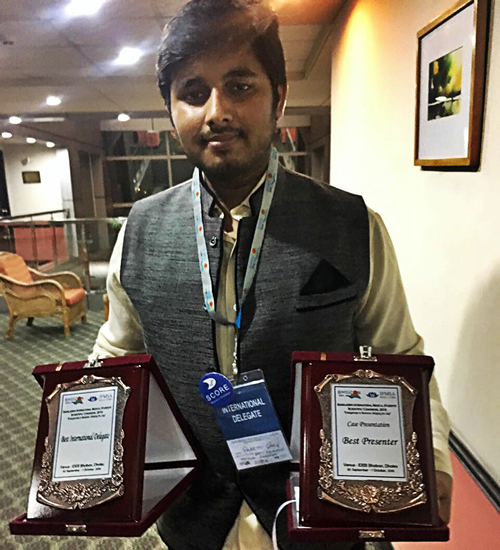 » Mr. Parth Garg got first prize at BIMSSCON 2016 at Dhaka, Bangladesh for his work on "Fate of MSCs in OGD induced hypoxia"
» Laboratory for Stem Cell & Restorative Neurology collabrated with Laboratory for Aging, Univesity of Rostock, Germeny for Stem Cell therapy in stroke recovery. (2) Raza SS*, Wagner AP, Hussain YS, Khan MA. Mechanisms underlying dental-derived stem cell-mediated neurorestoration in neurodegenerative disorders. Stem Cell Res Ther. 2018 Sep 26;9(1):245. 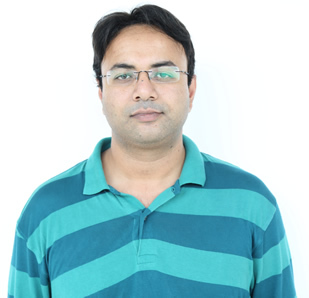 (1) Fauzia E, Barbhuyan TK, Shrivastava AK, Kumar M, Garg P, Khan MA, Robertson AAB, Raza SS*. Chick Embryo: A Preclinical Model for Understanding Ischemia-Reperfusion Mechanism. Front Pharmacol. 2018 Sep 21;9:1034. Raza SS, Khan MA, Fauzia E. CHICK EMBRYO AS A PRECLINICAL MODEL FOR ISCHEMIA AND STRESS. US Grant Patent Application No.15889242 (Con. No. 2369-2018)​. Raza SS, Khan MA, Fauzia E. A Pre-clinical model to induce ischemia and stress. Indian Grant Patent Application No.TEM/E-1/1739/2018-DEL.